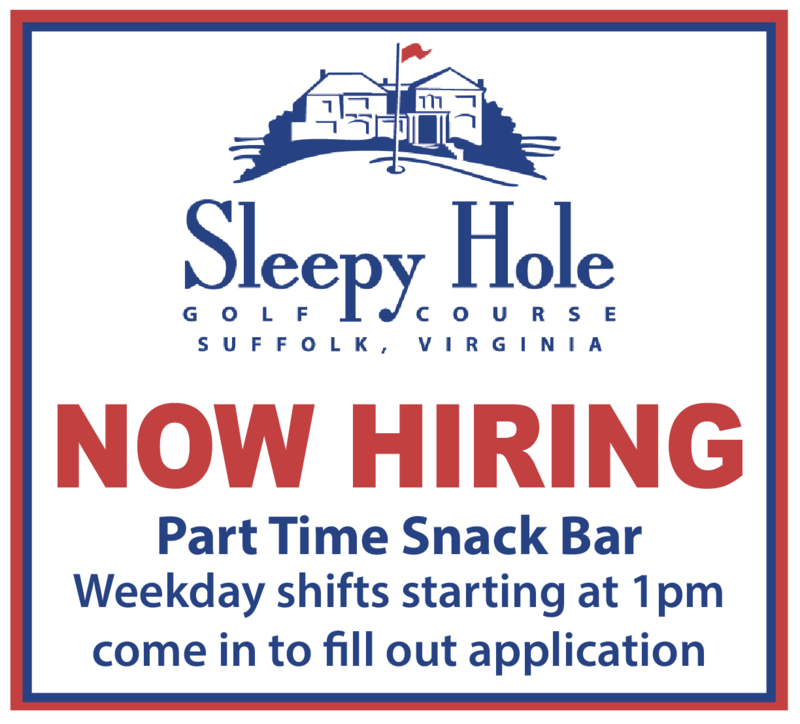 Sleepy Hole Golf Course – Welcome to Sleepy Hole Golf Course! Welcome to Sleepy Hole Golf Course! Picturesque Sleepy Hole Golf Course is located on the beautiful Nansemond River. You’ll love the experience of golfing with river views and lack of houses along our course. There are water hazards on seven holes. Enjoy the wide, playable tree-lined fairways, beautiful landscaping, and well-placed bunkers. The legendary 18th hole, rated “most challenging in Hampton Roads,” is tougher than ever, and ready to test you. Friday’s at 1:00 will be a permanent blitz day for here on out! You may bring a perspective member this one last time! Let’s start the year off with a big turnout! If you need a partner just let us know. Copyright © 2019 Sleepy Hole Golf Course All Rights Reserved.